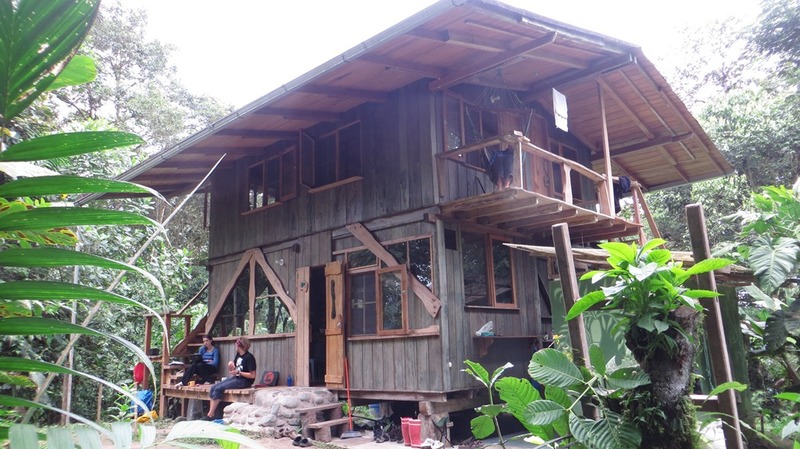 Un poco del Chocó is a private nature reserve and biological station in the montane rainforest of Northwest Ecuador. There are a couple of tasks that need to be done every day and volunteers can give us a hand with cooking, watering plants, feeding the chickens and keeping the station house clean. In the past few years we have established several nature trails in the reserve. These trails are necessary to access the different parts of the reserve in order to realize field studies or simply to enjoy the forest and observe the diverse animal and plant life.The trail system already covers a length of about 5 kms! So you can imagine that there is always some maintenance work to do in order to keep the trails clean from vegetation or fallen branches. The steps and signs also need to be replaced every once in a while. With our organic garden we would like to self-supply the field station with different vegetables. 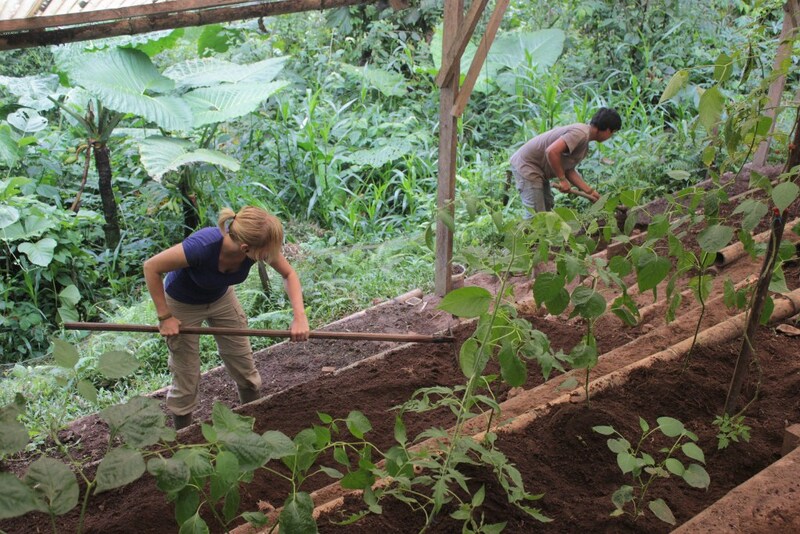 Besides various fruit trees, we have also planted yucca (manioc), sugar cane, bananas and plantains. There is a small vegetable garden where we grow a lot of different vegetables, e.g. tomatoes, beans, peppers, pumpkins. You can help to water the organic garden and produce compost, to cultivate and plant saplings, to weed and care for the garden and finally to harvest. Professional carpenters or volunteers with manual skills are always welcome at the station. They can help Wilo with the maintenance and wood work around the station. We have established several fruit feeding stations for certain bird and mammal species in different parts of the reserve. With those stations we try to facilitate the observation of some (rare) species which would normally be very difficult to observe. At the same time these feeding stations are also used to monitor the bird and mammal diversity in the reserve. The banana feeders need to be cleaned and refilled twice a week. Our volunteers are required to help on five days per week for about five hours daily. Afternoons and weekends are free. Volunteers need to stay for a minimum of 4 weeks. 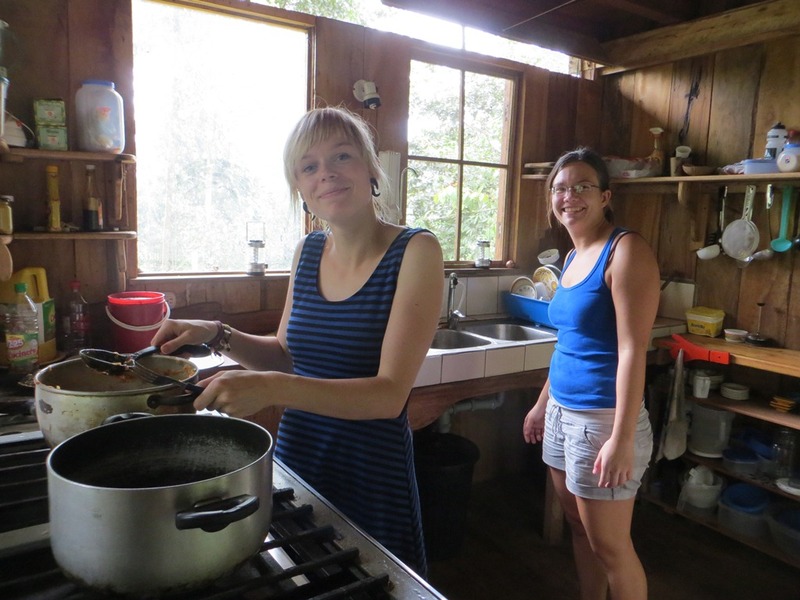 We lodge volunteers in a cozy wooden house in the middle of the rainforest. Rooms are shared doubles in bunk beds, toilets are outside and showers are hot. Our food is mostly vegetarian. We cook typical Ecuadorian food (rice, plantains, legumes, yucca etc,) as well as pasta, potatoes and lots of vegetables. Electricity is supplied by solar panels and can be restricted. Internet access is available. We charge $95 per week for lodging at the station house and three meals a day. 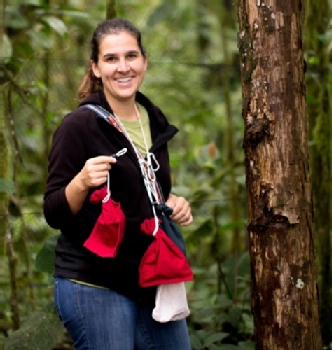 Francesca Verbelen - Perfect for getting to know Ecuador! "My boyfriend and I stayed at Wilo and Nicole's for 5 weeks as volunteers in September - October 2015. It was super easy communicating with Nicole before, during and after our stay - very open, helpful and honest. Not understanding any Spanish in advance, it was great having Wilo and Christian linguistically challenging us during our morning work routine. You really get to know the Ecuadorian traditions and lifestyle - if not by doing so, than by listening to stories from your three hosts. The house is beautifully made, small but cosy - great for getting to know your fellow volunteers or students. Another plus: Un Poco Del Choco is in the middle of nowhere and relatively close to Quito (which is the main base for all trips in Ecuador) at the same time. 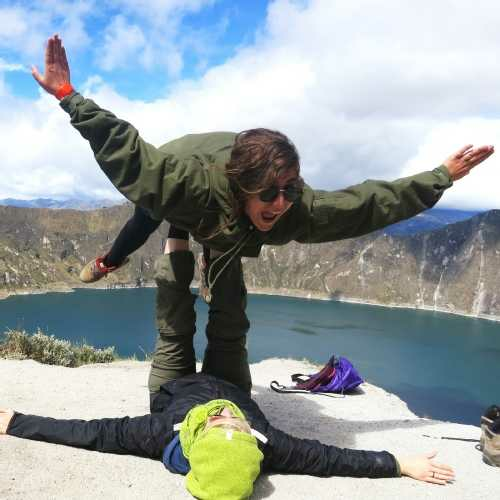 Nicole will provide you with all the information, tips and tricks for travelling in Ecuador! (If the timing is right, let them take you to Mindo during the weekend!) If I have to point out one negative aspect, it would be the price. Personally, I think it was a bit overpriced in comparison to another reserve we stayed at - but nonetheless it was a great experience and a great cause." Christian Weber - Un poco del Choco ROCKS ! "On our trip through Southamerica we stopped at this beautiful peace of rainforest. 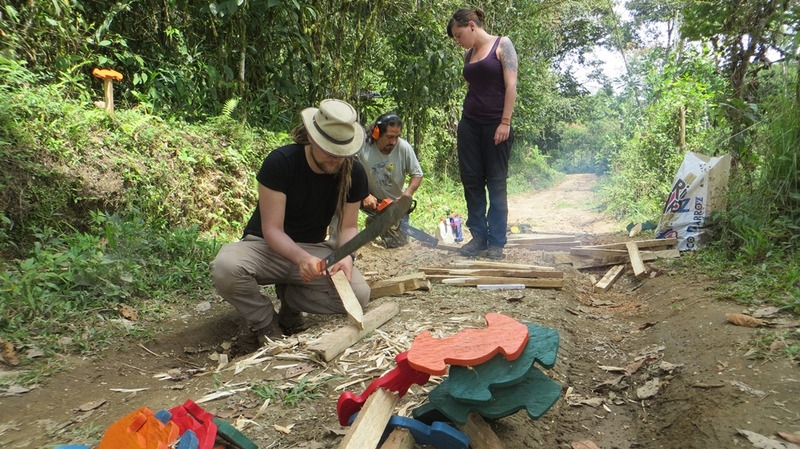 The varied volunteer work at Un poco del Choco was a great alternation to our everydays backpacker life. Especially the vibe of the selfbild woodhouses in combination with the isolation of Un poco del Choco is amazing. Be supplied with delicious vegatrian food is the exploration station also a fantastic place to free your mind and enjoy the nature with its beautiful birds and animals. All in all it´s definitely a nice place to stay. Thanks for the amazing experience and all the best for the future. We looking forward to visit Un poco del Choco again! Greetings Annabel & Chris"
Sofia Wunder - pure nature! Check out their website, they offer some biological internships, too!" Las Tolas via a Ayapi-Pachijal s/n, Parroquia Gualea, Distrito Metropolitano Quito, Ecuador. 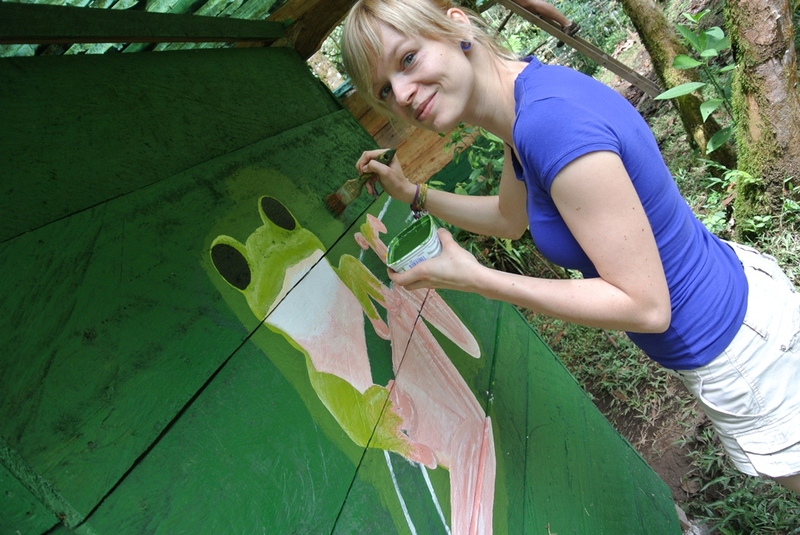 While the nature reserve contributes to the conservation of the endangered Chocó-habitat, the biological station promotes education and research through internships and courses. The 15 hectares of montane rainforest are home to over 270 different bird species as well as capuchin monkeys, sloths, agoutis and even ocelots and pumas. Besides education and research, one major aim of Un poco del Chocó is the conservation of the remaining rainforest around the reserve. Habitat fragmentation is a major problem in the Chocó region. While illegal logging and a progressing agricultural frontier are the main reasons for the habitat loss, there are also several minor reasons for deforestation. E.g., in order to maintain fences for their cattle, local people generally cut trees to replace the old rotten posts. Therefore we work in environmental education, participate in local conservation workshops and support sustainable land-use. 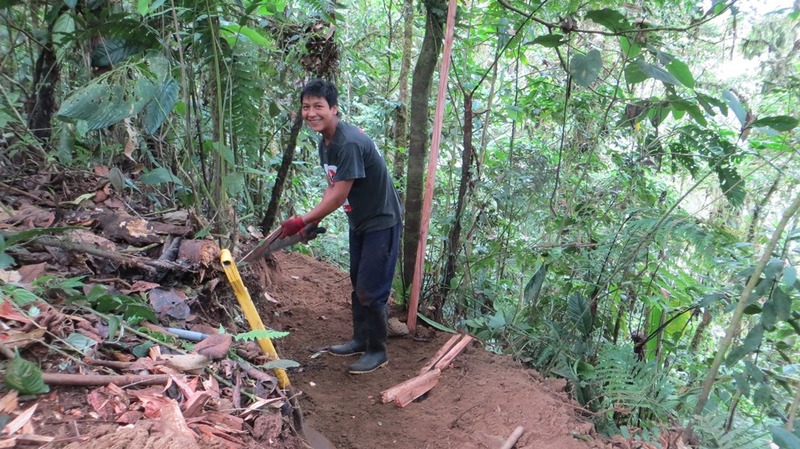 Furthermore we work together with other local conservation initiatives and Ecuadorian NGOs. A good part of our conservation work is voluntary commitment. We at Un poco del Chocó would love to hear from you!